No, your eyes don't deceive you and it's not April 1st. Today NVIDIA revealed in a press briefing that support for DXR raytracing will indeed be coming to graphics cards other than the RTX 20-series in the very near future. While performance is unlikely to be up to the standards of RTX-class GPU performance, it would offer a much larger installed user-base than today that would encourage developers in their efforts to bring the technology to upcoming game engines. The cards which will support limited DXR ray-tracing number in the millions, including some of the most popular in the hands of users today. They encompass 'Pascal'-based GeForce GTX 1060 6GB and higher as well as the more recent mainstream GTX 16-series Turing GPUs, none of which have either dedicated RT cores or the Tensor cores NVIDIA utilise for de-ionising algorithms. NVIDIA are classifying the level of support that will be offered as 'basic', consisting of simple raytracing effects and low ray counts. More complex effects and numerous rays will remain exclusive to RTX for the forseeable future. 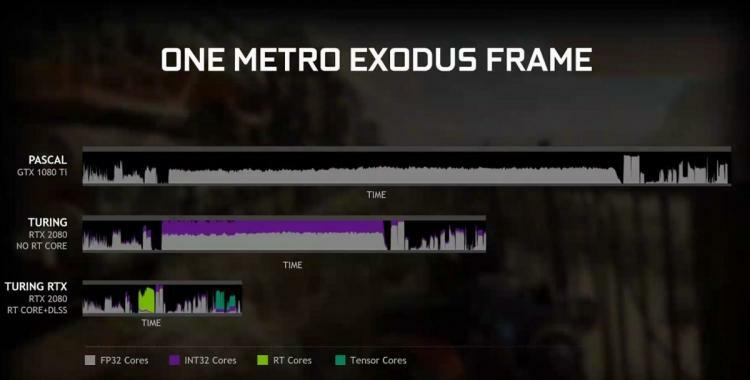 As shown below, the performance gulf will likely mean that GTX owners won't enjoy the full sumptuous feast that is raytracing in games like Metro Exodus, but more of an appetiser that will make them crave the full experience. If you're looking forward to trying this out rest assured that you won't have long to wait. A GeForce Driver update that will enable these features on supported GPUs is scheduled for April. Support such as this is not something NVIDIA can enable at the flick of a switch without considerable driver development, so it's likely that support was already possible but not ready for primetime (or perhaps not seen as a marketable feature). Clearly it's a complete coincidence that AMD and CRYENGINE demonstrated raytracing in CRYENGINE 5.5 on a Radeon Vega56 on Friday. GDC and GTC are ongoing this week, so there's likely to be plenty more from NVIDIA yet to be revealed.